Tamil star Thala Ajith and his Vivegam director Siva have joined forces for the fourth time in a row and are coming up with a high-budget entertainer, titled Viswasam. The film is being produced by Vivegam’s makers under Sathya Jyothi Films banner. Viswasam had its previous schedules in Hyderabad and Rajahmundry. Today, the film’s team is going to kick-start the latest schedule at Ramoji Film City in Hyderabad. The makers are planning to release the film for Sankranthi early next year. Ajith will be seen in dual roles in Viswasam. Nayantara is the film’s leading lady. 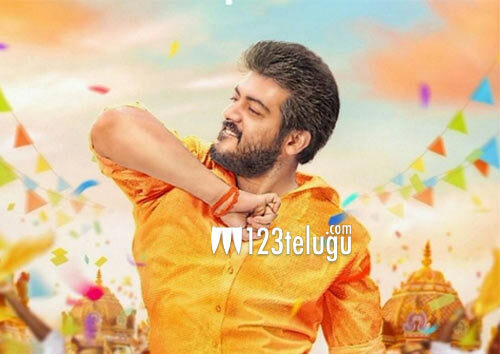 D Imman is the film’s music composer and he is working on an Ajith film for the first time.